Tel. (802)755-6298 Fax (802)755-6166 Located in Albany, Vermont. 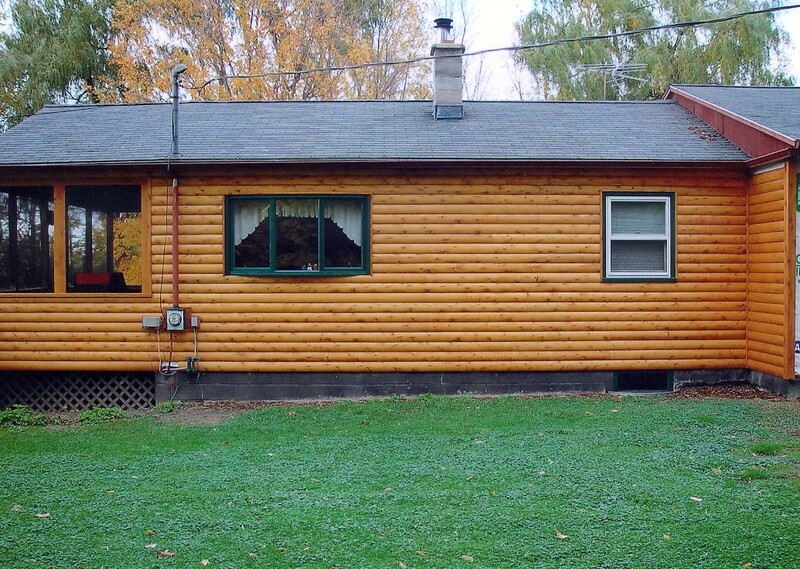 Not able to construct a log home, but would like the log home look? 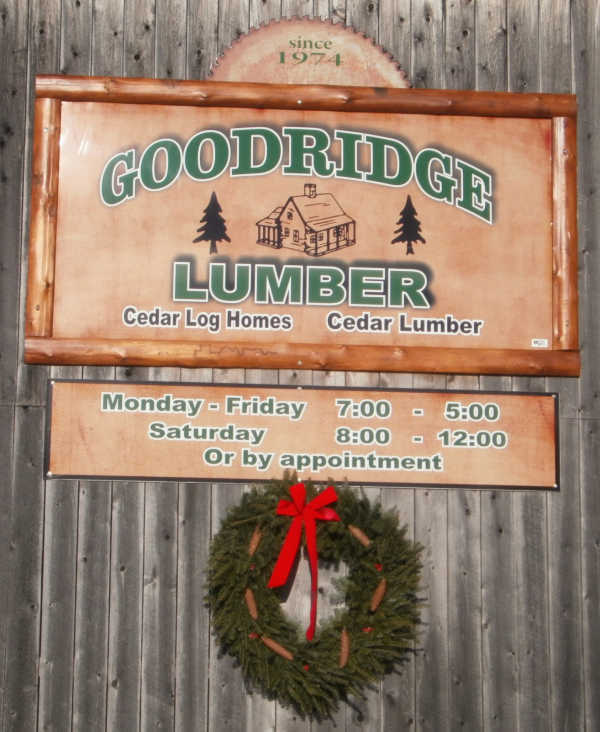 White cedar log siding produced at Goodridge Lumber may be your answer. 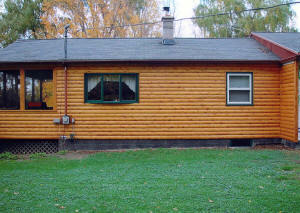 This log siding may be used on both new construction and on renovations to existing homes. White cedar's Natural beauty and Natural resistance to decay and insects, combined with ease of application make this product a popular choice. 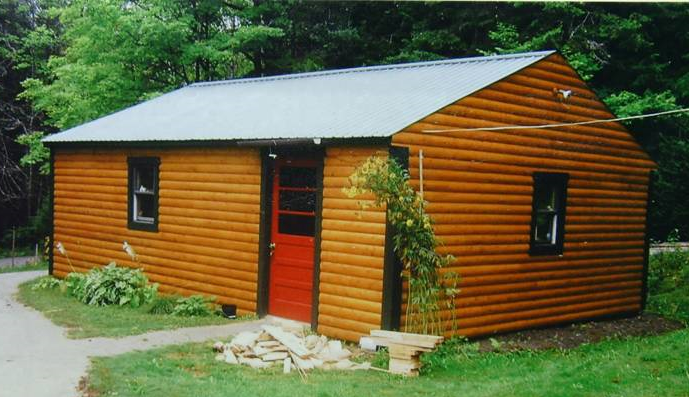 Our machine-rounded white cedar log siding features a 1/2 inch shiplap application and provides 5 inches of coverage. Log siding combined with natural round porch posts and log rafters on a renovated farm house. Before Log siding used on an existing home. Click pictures for a larger image. 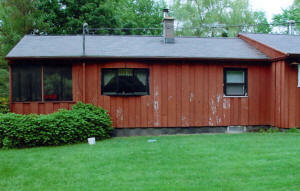 Before Log siding used on an existing garage. Copyright © 2008 Goodridge Lumber, Inc.